Surprise! A quick mid-week post. Here's some type of katydid that I found on my lunch break yesterday. The insects are going crazy right now- their songs are almost deafening. Thanks Dan- I was laying flat on my stomach to get the camera as low as possible! Babbler- Aren't they? They really are elegant. 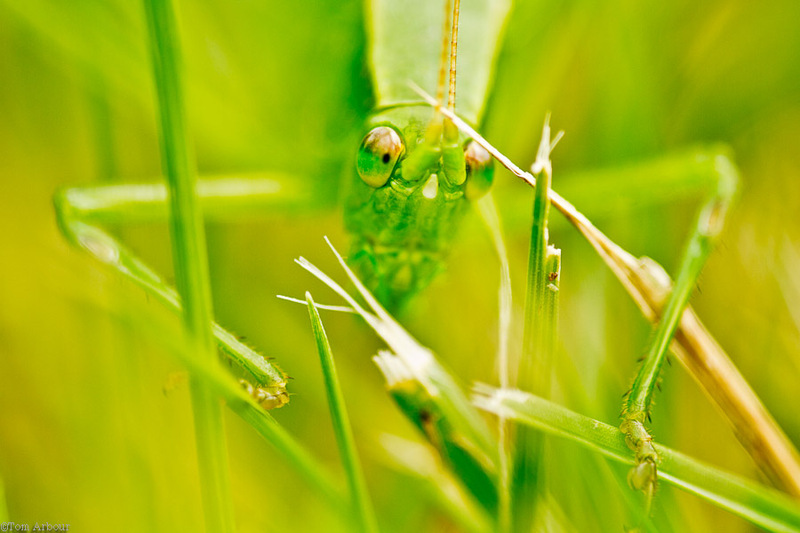 I was quite lucky to find this katydid- it was moving about in the lawn around our office.